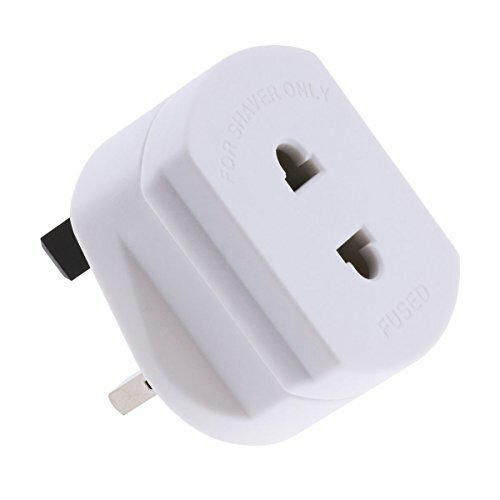 1A Fused US to UK Plug Outlet Adapter. High quality conduction copper sheet, flame resistant ABS outer shell 3-pin plug. Small and compact size, simply and easy to use, just plug and play directly. Allows you to use shaver or electric toothbrush with US standard connector in this UK power socket. Suitable for people travel outside or home use.